What if the next time you were hungry, you could tell your kitchen to cook a meal for you? What if with a simple touch of a button, you could get your house to clean itself? And what if I told you this could all be possible? With the work of artificial intelligence or AI. 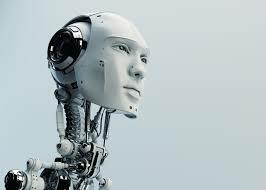 Dear readers, allow me to take you on a journey on the wonders of Artificial Intelligence. AI is something that is becoming more advanced everyday and is disrupting our world. I mean, who wouldn't want a robot to do all our chores for us, who we can communicate with or maybe one which can even advice us like a little companion? Some of us, including I myself, were surprised that intellectuals like Elon Musk, Stephen Hawkings and Bill Gates were genuinely concerned and against the idea of advanced AI. Now, don't get me wrong, they are actually perfectly fine with AI at its current state right now, but are very against the idea of AI becoming better. The machine wasn't victorious because it was just intelligent, the machine was victorious because of its human creators! What if we combined our strengths and worked side by side? So let us dream big!